Enjoy Costa Rica—one of the most beautiful countries in the world. Surround yourself with spectacular scenery and unparalleled access to nature. Surround yourself with San Miguel. 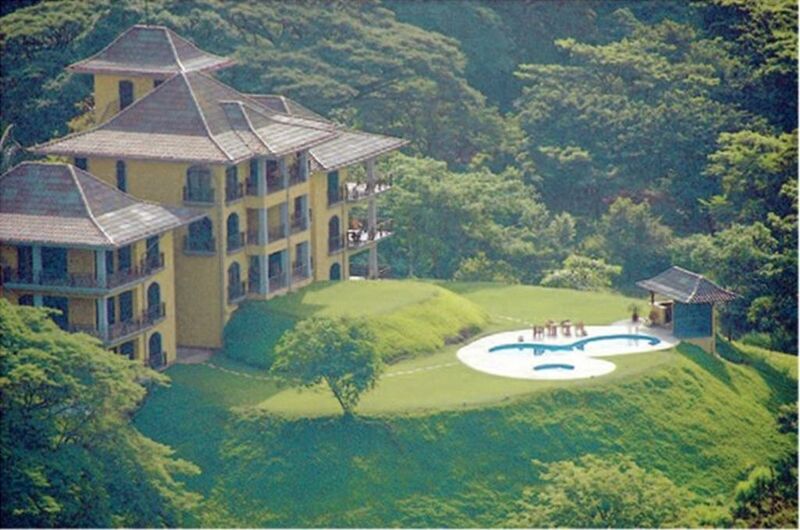 Are you are looking for a supreme relaxing vacation in a private residence in Costa Rica? Then San Miguel No. 2 is the right place for you. With spectacular views and vistas that embrace the condo and superb ocean views. The setting is private, peaceful, and off the tourist track. A perfect place to unwind. San Miguel No. 2 is privately sheltered on a hillside overlooking Playa San Miguel—a stunning beach with silver-grey sand that stretches for 25 km. This is the perfect destination for those who are looking for a Costa Rican vacation with privacy, comfort, full amenities, and secure access. Stay at San Miguel No. 2 and enjoy myriad outdoor activities. Choose from a long walk on the beach or relaxing in the private pool or hot tub. Explore the inland rolling hills that are perfect for hiking, horseback riding, and ATV tours. Enjoy the many amenities and activities at nearby restaurants and world-class resorts. Costa Rica is an ideal destination, and San Miguel No. 2 offers the ideal accommodation for a peaceful, relaxing vacation. Costa Rica is a 3 to 4 hour plane ride from the southern USA. Fly into either of the Costa Rica cities of Liberia or San Jose, and then take a half day journey by car or commuter plane to San Miguel. To get to San Miguel, fly into either Liberia, Costa Rica, or San Jose, Costa Rica. From these major cities, you will need about half a day to travel to reach San Miguel No. 2. 1. Fly into Liberia, Costa Rica, and rent a car at the airport. Spend the night here, and the next day begin a 2 to 3 hour drive down the Nicoya Peninsula to the city of Nicoya. At Nicoya, turn toward the ocean and drive to Samara. Stop to eat in Samara at any of the beach restaurants and check your e-mail at the Internet café. Next, drive along the coast through Carrillo, Islita, Corozalito, and then the last 4 miles to San Miguel. a)	Fly out in the A.M. via Sansa Airlines to Punta Islita airport at Corozalito, or take a later on Nature Air Airlines. In Corozalito, we can have a rental car waiting for you that will come down from Samara. Drive 4 miles to San Miguel. b)	Drive a car from San Jose to San Miguel which would take 3 to 4 hours. Take one of two routes—via ferry at Puntarenas or over the bridge to Nicoya. We had a problem with the water, we had 1day and a half without it. The building doesn´t have elavator, and if you have to carry heavy bags is complicated. I thought the condominium has toilet paper in the bathroom and kitchen soap. The rooms are confortable, but the curtains don´t have black out. I am sorry about the water, I had No idea, so I contacted the building manager, from our HOA as in the 10 years we have owned the condo this has never happened. "The water problem was not coming from the condominium but from the reduced capacity of water supply by the ASADA when the village is full of visitors, and this year, according to an unofficial source, was added an additional problem due to one of the wells of the Asada that does not works anymore and the whole town was suffering a water shortage at that time." A updated note from our HOA, we have now installed an additional water tank close to the road and the problem should not happen again in the future. Simply spectacular stay. Overlooking a pristine beach, easy access, no internet or wifi available so you can really disconnect, very well maintained common areas and a very nice host. Will return soon! Our family of six had a very nice time at San Miguel. Very quiet,pleasant, comfortable, clean and well equipped condo. The manager was helpful too. Supermarkets are 4 kms away so it is good to buy food before getting there. We would love to go back but It would be nice if there were wi fi coverage though! My family loves this place. It is quiet, elegant, luxurious, it has everything a first class apartment should have, it is very well equipped, the atmosphere is good, and peaceful. You can really rest from the routine, change the environment, see different things, enjoy nature at its best. From the morning monkeys in the nearby trees, to the search for food that iguanas do, this place is without a doubt the best place we have been to rest. In fact, the signal from the cell phones we carried was not optimal, so we managed to rest from social networks and the internet as well. My family and I stayed in San Miguel in January. It was a very pleasant experience. Beautiful nature, amazing beach, wonderful people. This place is the ultimate relaxation getaway . The condo is very cozy, clean well maintained with the important amenities. If you need to get away and want to connect with nature it is a Must visit! I am costarican, love my Country. I know lots of sites in Costa Rica but this is one of the most relaxing places I ever been. Very nice open beach, nice water temperature, you can watch monkeys right from the Condo Balcony. Highly recommended.